Sharjah: Sharjah Police foiled an attempt by two Asian men to distribute counterfeit cash totalling Dh45,500 on Monday. The pair were arrested with the fake money on them by members of the Criminal Investigation Department. 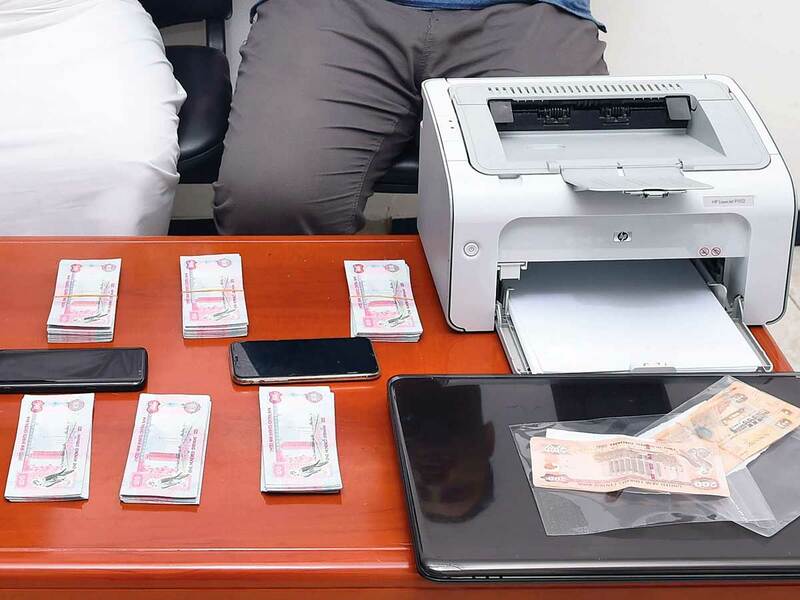 Police were tipped off about the illegal activities being carried out by the pair, who were trying to spend the counterfeit Dh100 and Dh200 notes at petrol stations and gorcery stores in the emirate. Police formed a team to investigate the issue and managed to identify the pair from a tip off, later raiding their apartment and catching the suspects red-handed with fake currency. The suspects confessed to their crime and the case was referred to public prosecution. You must refuse the notes and explain that you suspect that they may be counterfeit. If you suspect that a banknote is counterfeit after a transaction, report it to the nearest police station. Write down the details of the circumstances of how you came into possession of the counterfeit note to help the police investigation. Passing on counterfeit money is a serious crime. Report emergency cases to Sharjah Police by calling 999 and non-emergency cases on 901.